The new radio stations will present programmes in local dialects, to counter the broadcasts by Radio Dabanga, in an attempt to reduce its impact on the populations of those regions, especially in Darfur, Information Minister Ahmed Bilal Osman told Members of the national Parliament on Tuesday. 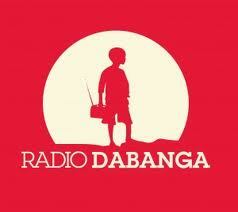 Follow this story on Radio Dabanga’s website. This entry was posted in Broadcasters, International Broadcasting, News and tagged Radio Dabanga, Shortwave Radio, Sudan on December 11, 2014 by Thomas. The Sudanese Minister of Information has admitted that attempts by the Sudanese government to prevent broadcasts by Radio Dabanga have failed. Minister Ahmed Bilal was speaking in the Council of States on Tuesday. He pointed out the need “to create a number of radio stations to attract listeners and compete with Radio Dabanga, which incites the people”. The Minister was facing harsh criticism of the State media from Members including Abdul Jabbar Abdul Karim. Karim accused the state media of not highlighting the facts and lacking integrity and credibility, acknowledging that Radio Dabanga and the Alrakubh website are the most popular news sources for citizens. […]Radio Dabanga broadcasts to Sudan from neighbouring countries via shortwave. The Sudanese censors have tried repeatedly to jam the signal, to little avail. In May, a report to the Sudanese parliament acknowledged that that the majority of the people in Darfur and Kordofan prefer Radio Dabanga to any national broadcasting station. Read the full article on Radio Dabanga’s website. This entry was posted in Clandestine, News, Shortwave Radio and tagged Clandestine Radio, Radio Dabanga, Sudan, Why Shortwave Radio on November 19, 2014 by Thomas.